Official bottlings from the Craigellachie distillery was once an incredibly rare sight. Luckily, we finally got 4 official bottlings in late 2014. 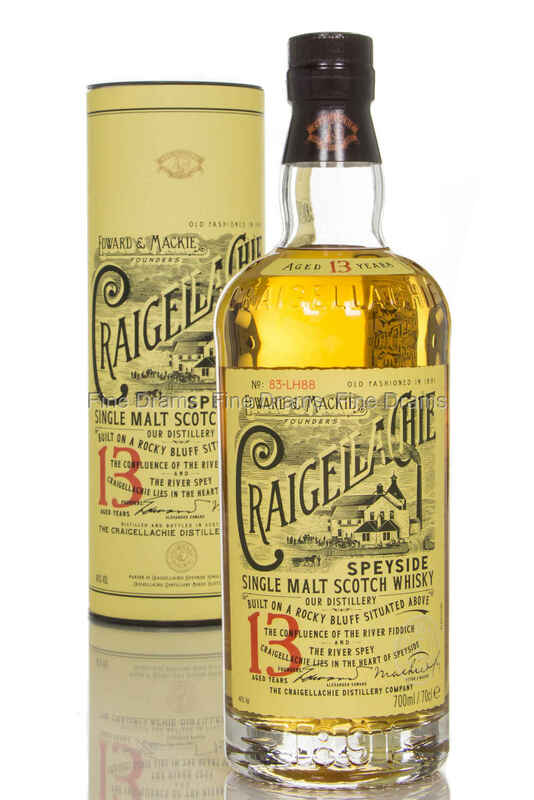 From Craigellachie’s new range, this is a 13 year old single malt, bottled at 46% with no chill-filtration. Nose: Very "green", fresh twigs, crisp apples, herby earth, toasted malt, menthol cigarettes, hay and slight grass. Palate: Umami thickness and funk- slightly meaty, huge hit of mint, more green wood, slight plain peanuts, crisp cutting barley- slightly astringent, hint of clove in sour apples, fizzy sultanas. Finish: Wash of light sweetness, barley and vanilla oak. Long. Overall: A very different, very fresh whisky. Great one to have at the start of the night to sharpen the senses, or at the end of the night to rejuvenate. An unforgettable dram.